Total Prosthetics & Orthotics (TPO), headquartered in New Delhi, India, is an Indo-American chain of orthotics and prosthetics (O&P) clinics. The clinics are branded “Comprehensive Prosthetics & Orthotics” and are setting a benchmark in the standard of O&P care in India and USA. The company provides a complete range of products and services in orthotics & prosthetics. It has pioneered a revolutionary concept in Orthopedic Rehabilitation Services, and has an on-site fabrication department staffed with experienced and skilled professionals. 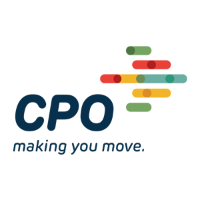 CPO currently has 11 facilities across the US and seven in India. TPO was founded in 2005 by Amit Bhanti and Don Goertzen, two board certified Prosthetists and Orthotists with an extensive track record in the fields of orthotics, prosthetics, clinical care, and business operations. Ventureast invested in the company through the Ventureast Life Fund in 2011. TPO has more than doubled its workforce in the last year, and aims to have hundred remote locations in the next five years.